7oz. (200ml.) Part of the Japanese limited edition artisans collection. 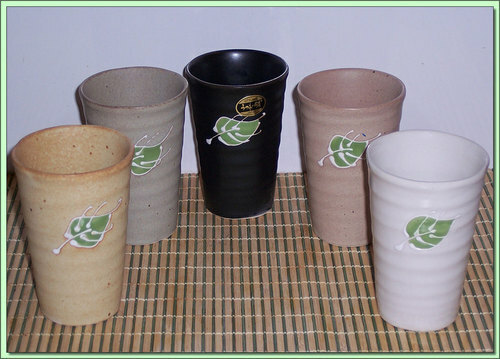 Five attractive cups representing different earthy hues with an attractive leaf calligraphic pattern embossed on each.